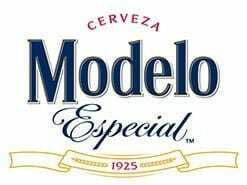 Modelo Especial is a pilsner-style lager that was originally first brewed in Mexico in 1925, under the vision to create a “model” beer. Modelo Especial is made with filtered water, malted barley, hops, corn and yeast. It is a rich, full-flavored pilsner beer brewed with premium two-row barley that gives it a slightly sweet, well-balanced taste with a light hop character and crisp finish.